We are currently seeking team members and volunteers for SCHS. If you are interested in working with us or would like to learn more, please contact us! 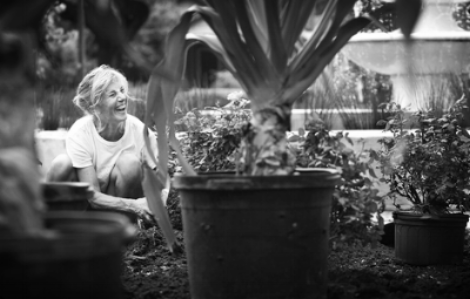 Pat Harpell, founder and chief executive weeder of the SC Herbal Society, is happiest when there is dirt under her fingernails and between her toes. Pat introduced the first Herbal Apprenticeship program to Charleston, eventually graduating over 60 community herbalists. When she is not traveling, gardening, knitting or sewing, she is a guest teacher and speaker throughout the country. Pat has had the great honor of taking herbal and medicinal studies with Sarita Shrestha, MD, Rosemary Gladstar, Matthew Wood, Madelon Hope, Tommy Priester, Phyllis Light, Margi Flint, Anne McIntyre, David Dalton, Dr. Ming Wu, many other sages, and her greatest teacher, Mother Nature. Pat maintains a sustainable, organic garden in her hometown of Charleston where perennials, vegetables and herbs teach her how to grow. Hannah fell in love with the earth early in life, spending the majority of her time as a child sneaking off to wander through the woods, picking flowers, collecting berries, gawking at bugs and chasing the sunset home. She completed the Gaiananda Herbal Apprenticeship with Pat, which formally birthed her onto the path of plant medicine. She currently resides in Greenville, SC, running the chapter of the SC Herbal Society and forging connections within the community between plant-loving and healing-focused people. You can find her making medicine out of her kitchen, working full time as a massage therapist, taking walks with her fur baby Sage to pick flowers, or drinking a good cup of tea on a grassy square of the earth. Nicole has long been drawn to the world of healing, and completed her Masters in Counseling Psychology in 2009. Upon moving to Charleston, the Gaiananda Herbal Apprenticeship with Pat Harpell opened her mind and heart to the world of healing and well-being through plants. Following the Herbal Apprenticeship, Nicole completed a Certificate in Sustainability through the College of Charleston and her Master level Reiki Certification. Her love of living freely, healing, energy, and plants form the foundation for her business, Boundless Beings, which offers services for Reiki Healing, Herbal Tea Time, Intuitive Counseling, and Workshops. She is continually humbled and passionate about the innate wisdom of the individual, the plants, Mother Earth, and community. When not working, learning, and reading, Nicole can be found cuddling with her puppy, dancing, cooking, and creating. Liz has always had a love for Mother Nature and is happiest by or on the water. Her love of nature and passion for a natural lifestyle led her to herbalism. She completed the Herbal Apprenticeship with Pat and has immersed herself in herbs and how they can enhance our lives. She will always be a student of nature and the plants. After completing the apprenticeship, Liz founded Crescent Moon Apothecary here in Charleston, SC. A small, home based business that focuses on helping people open themselves to the support of plants. Crescent Moon Apothecary sells small batch herbal products and offers custom herbal protocols and consultations. She honors her clients by treating them with love, words, and herbs. When Liz isn't playing with plants, you can find her out on the boat with her family, paddleboarding the creeks, and gardening.